Мы предлагаем доставку морем как в сборных контейнерах LCL, так и в контейнерах под заказчика FCL (full containers) из Финляндии практически в любой порт мира и в Финляндию. Порт назначения для LCL порт Хельсинки, из порта Хельсинки мы можем доставить ваш груз на любой таможенный склад в Финляндии и Прибалтике. Цены без сюрпризов и скрытых комиссий. Наше предложение включает все расходы от порта отправления до порта Хельсинки (включая все релизы, терминальные в порту и т.д.) Калькулятор расчёта доставки морем будет готов весной 2015. Сейчас вы можете получить ставку, связавшись с нами..
We offer courier service from Finland to the world and from the world to Finland. We are collaborating with all courier companies and we also use our partner network if necessary. This solution is cost effective for shipments under 150 kg (or 0.75 m3) for EU countries and 50 kg (or 0.25 m3) for non-EU. Delivery time from door to door is 1-3 business days. An online price calculation tool is coming soon. Until then, please contact us by email. Finland has a reliable and effective domestic delivery network. We can deliver your shipment to airport Helsinki-Vantaa airport or the port of Helsinki from any place in Finland for the next business day. From a big Helsinki area same day. We can organize direct collection for your shipment. 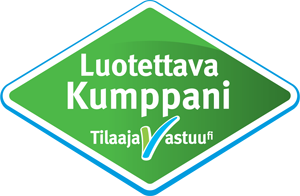 We can also deliver goods under customs control (T1) using our guaranty deposit with Finnish customs. An online price calculation tool is coming soon. Until then, please ask for a quote by email. We can delivery your shipment by road to all EU countries, Switzerland and Norway. Delivery time options range from 1 to 10 business days, depending the destination. We can also deliver goods under customs control (T1) using our guaranty deposit with Finnish customs. An online price calculation tool is coming soon. Until then, please ask for a quote by email. We offer delivery to Russia by vans, trucks (from 30m3-120m3), and container trucks. We deliver part shipments to customs bonded terminals in St. Petersburg, Moscow and other major cities. An online price calculation tool is coming soon. Until then, please ask for a quote by e-mail..